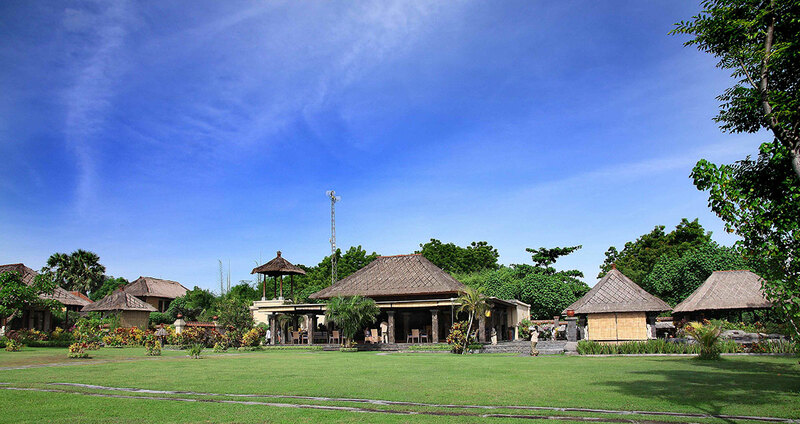 Taman Sari Group was founded by renowned Balinese eco-tourism pioneer Agung Prana, former president of All Indonesian Travel Agents and nominated for the United Nations prestigious Sasakawa Environmental Award. The Balinese concept of Tri Hitas Karana —the harmonious relationship between Man and God, Man and Nature, and Man and Society includes community involvement and the use of local wisdom and is the founding principle of the Taman Sari Group. 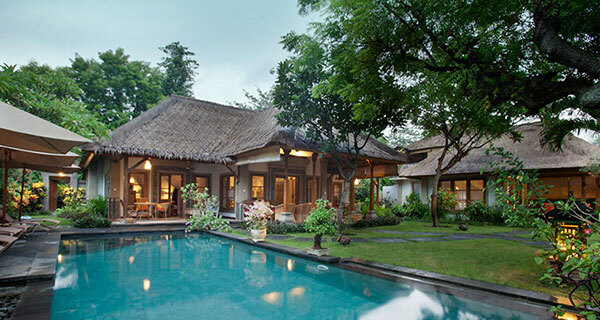 Offerings include the charming Taman Sari Cottages and Villas and luxurious Amertha Villas all beach front as well as the unique authentic cultural experience offered at Puri Taman Sari, nestled in the rice fields, coconut groves and flowing rivers of traditional central Bali. Taman Sari is committed to the protection of natural beauty. You as our welcome guest will be able to see and feel this foundational concept of harmony manifested in the community based environmental and social programs. United Nations awarded and world’s largest coral restoration project can be viewed right off the Taman Sari beach. A perfect place for families, newlyweds and all that wish to discover Bali. 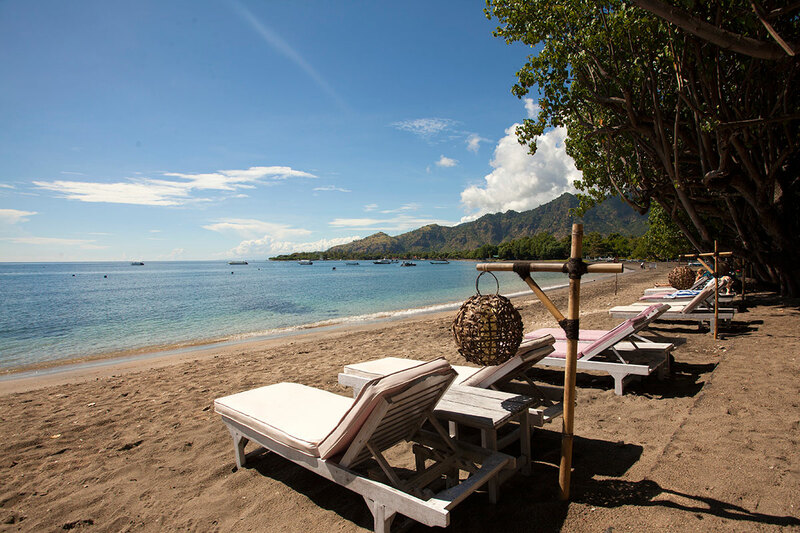 The luxurious Amertha Bali Villas Beachfront Resort and Spa is blessed with a magnificent location nestled on the crystal clear waters of Pemuteran Bay with a backdrop of nine majestic mountaintops. The Balinese believe the energy of the hills connects to the energy of the holy Bali Sea. 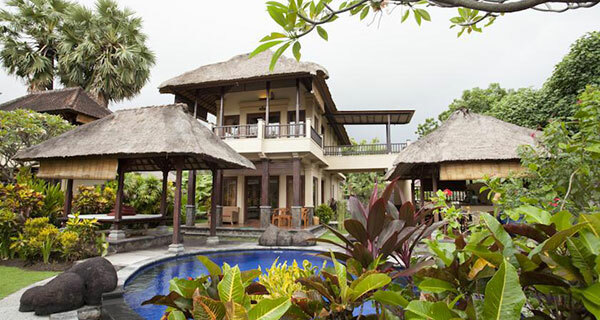 The unspoiled Northwest region of Bali offers a view into a more traditional side of Bali. Amertha is surrounded with nature and marine parks, beautiful temples in out-of-the way places and authentic village life wherever you turn. The magnificent volcanoes of Java are a picture-perfect backdrop for spectacular sunrises and breathtaking sunsets. 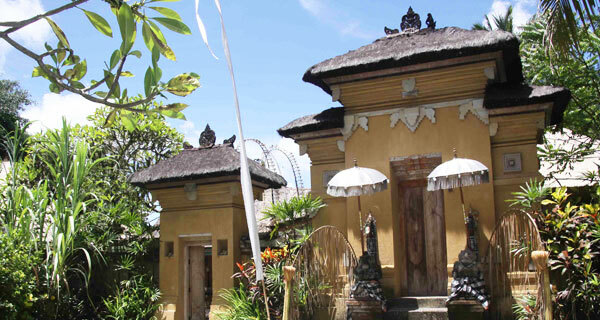 You are invited to stay in a traditional Balinese compound owned by a member of the royal family of Mengwi, one of Bali’s main kingdoms of old. 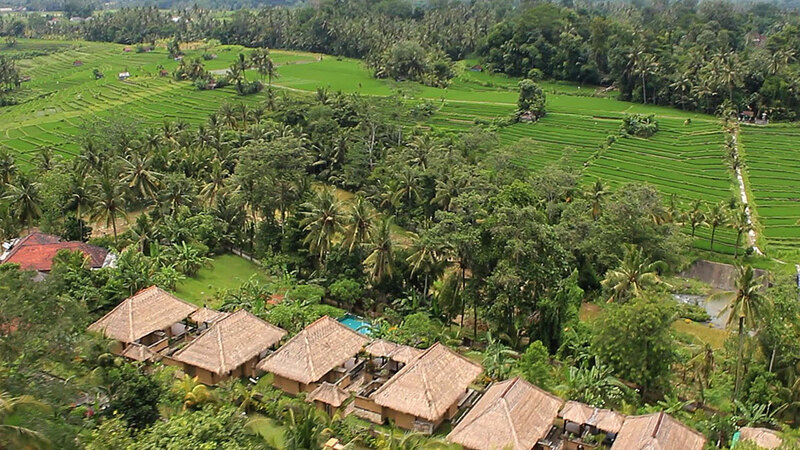 The compound is located in a Balinese traditional village, nestled in shady coconut groves, surrounded by ricefields, with three rivers running through. This is your chance to see Bali as you would have found it in the 1920’s.. In this traditional environment, you are offered comparable accommodation as that found in the hotel. 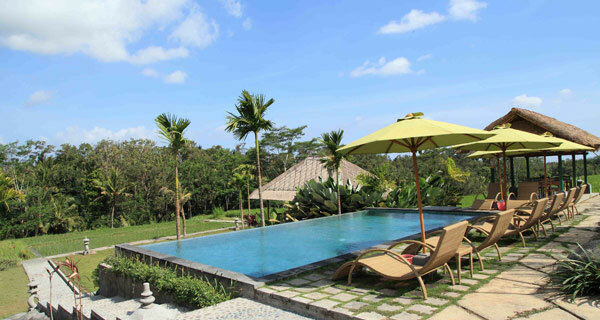 You will enjoy privacy while having the exclusive and unique experience of seeing a private Balinese household in daily life. Experience how the Balinese pray, live, cook and eat. Taman Sari Group eco-conscious approach minimizes impact and preserves and protects natural resources. Taman Sari Resort is home to the world’s largest coral restoration project. This nationally and United Nations awarded effort recognizes the Balinese coastal village of Pemtueran a leader for marine habitat restoration and other community based environmental education and preservation programs and is being considered as a “national model” for Indonesia. You are invited to be partners to preserve the balance of this paradise, becoming a shining example of how eco-tourism can be a proactive leader in environmental preservation, restoration and education. 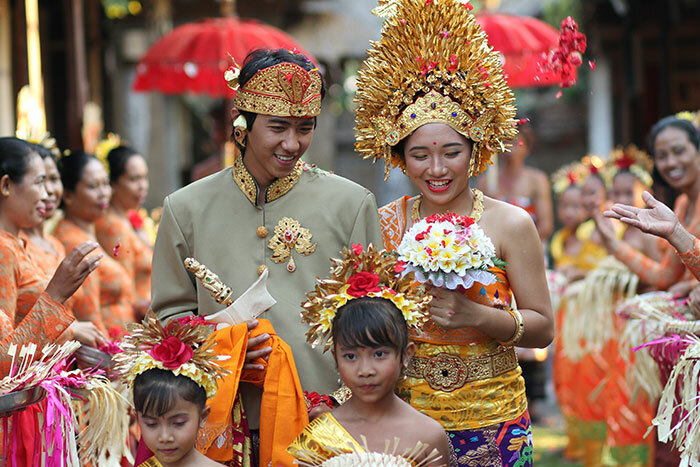 Experience a wedding similar to that of the Balinese Royals. Be a King and Queen for your wedding or honeymoon in Bali. 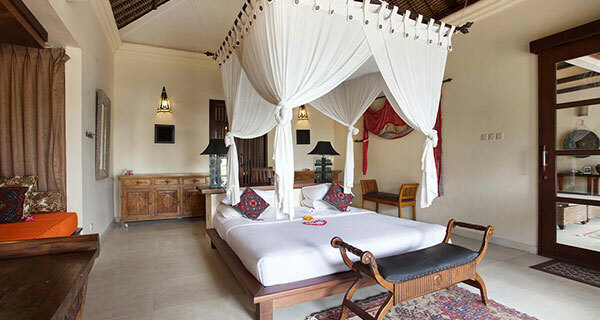 Let us dress you as a Royal Balinese Couple in the traditions of old. Let the whole village make the traditional wedding flower arrangement with natural and elaborate wedding decorations complete with a village procession including multiple towering Bali flags blowing in the breeze carried through the rice fields while mucisians play classical wedding music all led by dancing girls. Enjoy famous Balinese dishes created on the Island of the Gods at your private dinner party while being entertained by colorful, mystical and ancient Balinese dances and music under the famous Banyan Tree.